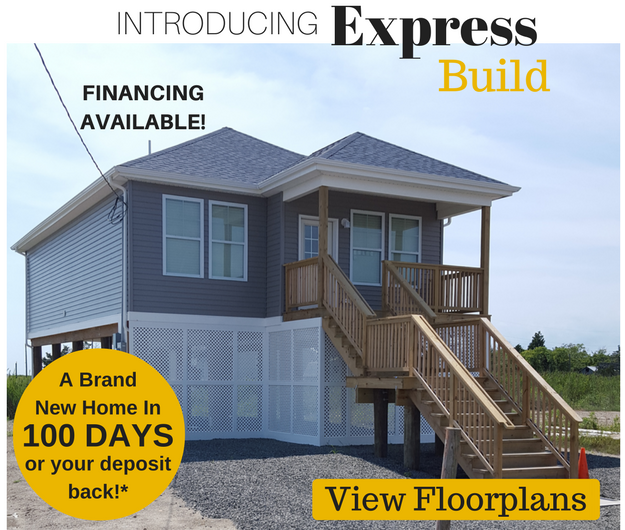 *DENJ will build a brand new home within 100 days or your deposit back. 5% deposit credited back at settlement. 100-day construction period starts upon issuance of building permit and ends with completion of home. For more information on the Express Build program, please send us your info using the form below. We will be happy to respond to your request with complete details and financing options.